The third game in Ironhide Game Studio’s Kingdom Rush, this one subtitled Origins, has just been put out. Kingdom Rush Origins is the latest in a lineage of highly popular tower defense games for mobile platforms. Whereas the first two games of the series had a medieval aesthetic, Origins takes on a more fantastical setting, with elves, magic, and everything that follows. 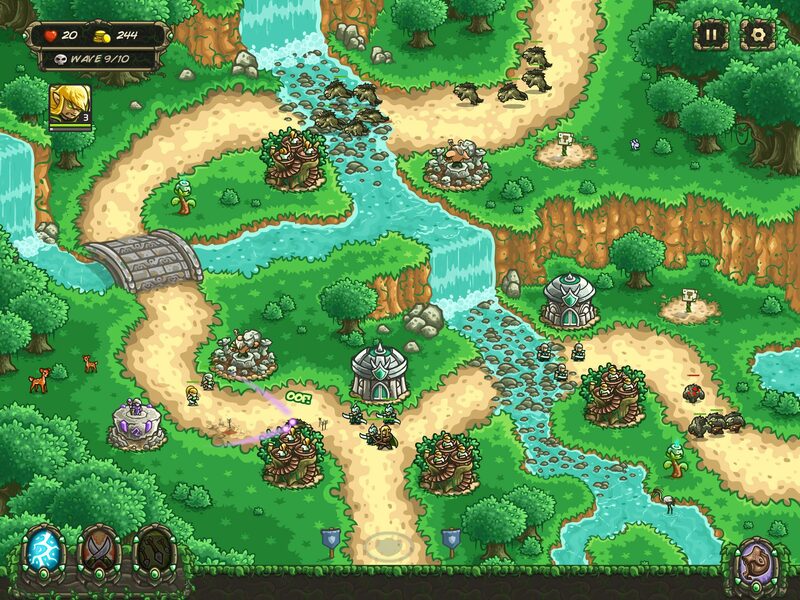 The game is, in fact, a prequel to the very first Kingdom Rush game and is set in the universe’s southern continent. Taking on the role of an elven commanders, players have to fend off the forces of Malicia, Queen of the Twilight Elves and Mactans, an ancient Spider Queen. You can also directly control heroes, which each have their own traits and special abilities. The game has so far garnered rave reviews, such as an 8/10 from Pocket Gamer and a 9/10 from Lazy Gamer. Newcomers and veterans to the series can pick it up through the Apple App Store, Google Play and the Amazon App Store.